LENOIR COUNTY (WTVD) -- Lenoir County deputies have identified two suspects in a double-homicide in LaGrange, North Carolina. 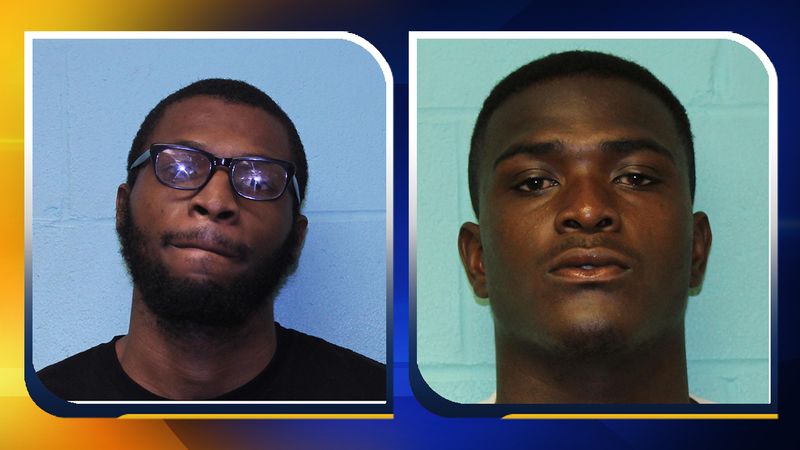 On Thursday, Shonquez Robinson and Tiquon Deonta Brown, 24, were arrested and charged with two open counts of murder; one count of attempted murder and another count of robbery with a dangerous weapon. Deputies accused Robinson and Brown of shooting John Wesley Johnson, Jr. of Sumter, South Carolina and Roderick Wayne Gillette of LaGrange on November 12 in the 300 block of Queen Street. Robinson was arrested on the campus of East Carolina University while Brown was already in custody in the Lenoir County Detention Center for murder charges from 2016.